Retreat at Bear Lake - Get-a-way - close to Lake Club! 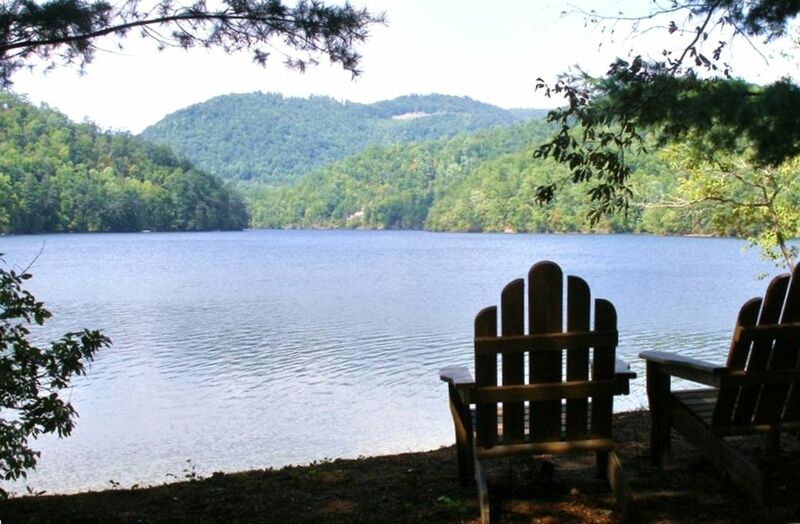 Travel to the beautiful mountain lake at Bear Lake Reserve where you can un-wind and spend time together. Stay in a spacious 2 BR with KING beds and TVs + Sleeping Loft for 3 - Very comfortable accommodates 7. Condominium has vaulted ceilings, exposed beams, stone fireplace, granite countertops, wood floors and lots of large windows in every room. Also, conveniently located just above the Lake Club with 2 pools, 2 Jacuzzis, restaurant and bar. Mountain Lodge condo is the closest accommodation to the Lake. Our home was thoughtfully planned out by an interior designer to be comfortable and beautiful while incorporating elements of nature to accent the beauty that surrounds Bear Lake. The 2 bedrooms have king size beds. The loft doubles as a TV area and sleeps 3 with a twin day bed, trundle and a large pull out chair/twin bed. Bear Lake Community has many offerings. Inside the gated community are miles of hiking trails, camp sites, Jack Nicklaus Design golf course, tennis courts, outdoor fireplaces, stocked trout pond and pavilion for family gatherings. The Lake Club, which our home overlooks and is a short walking distance, has a restaurant and bar for dining in or poolside dining. The Club also has a fitness center, steam room, sauna, movie theatre, children's activity center, kayaking, and pontoon rentals. Over the last 20 years, my husband and I have vacationed many places. Our vacations always seem to revolve around the outdoors and water. Scuba diving, boating, fishing, skiing, ect. We now have children and a dog to vacation with and Bear Lake is perfect for them, too. We first experienced Bear Lake when it was just an idea and wilderness. We fell in love with the unspoiled beauty of the clear mountain water and rock cliffs above the lake. Bear Lake Reserve has surpassed our expectations. We spend our days in the summer with family and friends at the pools and on the lake waterskiing. Our evenings are relaxing with expertly prepared meals at the club very often taking advantage of the dining on the restaurant deck overlooking the lake. Early mornings usually start with hikes, kayaking, golf or tennis. Winter is about skiing, hiking, kayaking and shopping in Cashiers and Asheville. One of the benefits of our location is the convenience to the lake and Club. Our condo sits right above the club house with 2 pools, workout facility, dining room and bar. We enjoyed our stay at this lovely and nicely decorated condo. Bear Lake Reserve is a beautiful, deep-in-the-mountains setting and was very quiet, which was a much needed quality for us! Much if this huge gated community is still undeveloped, but the houses that are there are beautiful and tastefully designed. The roads are very winding and steep, so expect to spend at least 15 minutes or so getting to the entrance/exit if the large development from the house. It is about 35+ minutes to Cashiers and closer to Sylva. Summer is probably wonderful since the house is very convenient to the lake club (walking distance). We enjoyed the respite and wouldn’t mind trying it out during summer! My husband and I (and our pups) just spent Labor Day weekend at Lori's condo and had a fantastic time. We have stayed in many rental properties over the years and this was by far one of the best - super clean, beautifully decorated, and well-equipped with nearly everything you could need. The provided coffee, paper towels, dishwashing supplies and other extras were much appreciated! We spent a lot of time just hanging out on the balcony watching hummingbirds and playing games (the house has plenty, though we did bring a few of our own too). The only downside, as mentioned by a previous reviewer, is the TVs are a little outdated. We spent more time outside and less time inside so it wasn't a huge issue. Bear Lake Reserve is beautiful and we rented a boat on our first full day for a really reasonable rate. We enjoyed a (delicious!) meal at the Lake Club, sitting on the deck with local beers - doesn't get much better than that. We also took advantage of the trails on property. The condo is a bit far from the entrance to the resort, but its location in proximity to the Lake Club is perfect - there isn't a closer option. As suggested by others, make sure to pick up groceries on your way in as it's a bit of a journey to leave and come back. There is some construction happening in a lot below the condo, which was a little disruptive during the one weekday we were there, but we used that as a reason to get out on the lake. Overall, I would absolutely stay here again and would happily recommend it to anyone looking for a relaxing Mountain getaway. We thoroughly enjoyed our stay in the Brown's condo at Bear Lake Reserve! The condo was well-appointed, the beds were comfy, the decor was lovely and modern, and the proximity to the pool couldn't be beat. We spent a lot of time on the deck overlooking the lake. The restaurant and poolside bar were very nice...try a blueberry mojito! The kids enjoyed playing pool and ping pong there. We rented a pontoon and a tube for 3 hours and had a blast on the lake...could have stayed out longer! The kids also took paddle board lessons. We drove up to the overlook to watch the beautiful sunset one night...enjoyed it so much we did it again. The dog had fun on the beach and the hikes. We never made it to any waterfalls, but be sure to check out Bear Creek Park. Very cool! Speaking of...we saw two bears from the car! The only negatives I have are that it is about a 15 minute drive to the greeter's cottage from the condo, and the greeter's cottage is quite a distance from the nearest town. So if you want to leave for anything you have to make the commitment! We packed plenty of food so that part didn't bother us. One other thing...phone and internet are spotty, the TV's in the condo aren't the biggest or newest, and when we were there we couldn't get the DVD player in the living room to work. Just bring some books and games and plan on having a low-tech week! Loved it! Great location and decor. We had a great week and enjoyed the condo very much. Lori was very responsive and great to work with. We want to return here again! AMAZING views of Bear Lake and convient location next to Lake Club! This home worked perfectly for ours guys weekend. We were extremely satisfied with the finishes and what was furnished to make our experience comfortable and enjoyable. The owner was extremely professional and accessible. Furthermore, the staff at Bear Lake were friendly and courteous. This property had everything we were looking for! Be prepared for a lengthy drive to the property from the front gate. Also, we could not use our cells phones during that drive. THANK YOU FOR AN AMAZING EXPERIENCE!